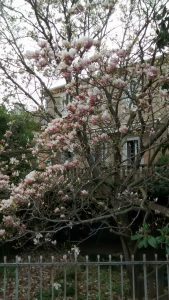 Home > Blog > Get a great view of French blossom from a campervan. Get a great view of French blossom from a campervan. 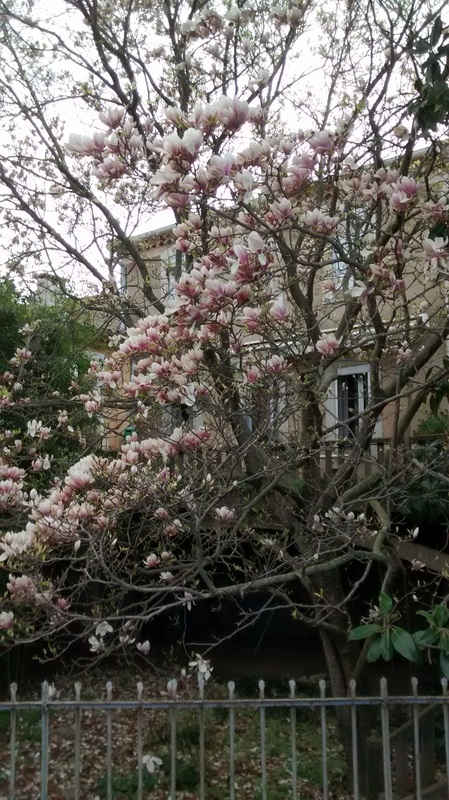 Spring is springing out all over the place and there is suddenly beautiful blossom on the trees (these two photos were taken last weekend). 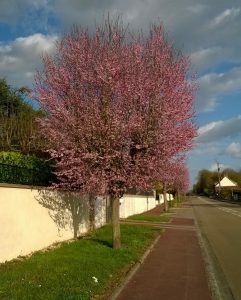 As you drive through France’s quiet, tree-lined roads the blossom greets you everywhere! The FMH team have been flat out for weeks getting the spring cleaning done before this weekend. In keeping with our policy of always changing vehicles after two seasons, we have sold lots of campervans over the winter and brand new vehicles are arriving at the depot daily so we are busy preparing them for hire. As usual, Easter marks the start of our season in earnest and the depot is coming to life as clients arrive to collect their vehicles for Easter trips. Have a Happy Easter, whatever you are up to this weekend. ← France bursts into life at Easter!